In a world that is full of external factors which we cannot control, it is becoming more and more important to at least control ourselves. Self-awareness is something you might have heard a couple of times, and rightfully so. You see, despite the extremely dynamic world we live in nowadays, there is still a lot that we actually can control. What we can control is how we deal with these external factors. We can improve the quality of our lives just by being aware of how these external factors influence us. And that is the key to self-awareness and why it is so important. 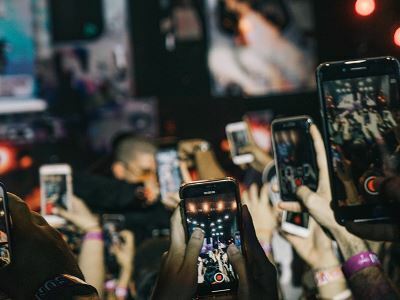 This article will cover exactly why self-awareness is important, and how the world would be a better place if we could all become more self-aware. It also includes examples of self-awareness and how you can benefit from it! How to become more self-aware? Take your time to ask "why?" A popular definition of self-awareness these days is "knowing one’s internal states, preference, resources and intuitions". It's a definition I tend to agree with. Self-awareness is all about knowing the one thing in life we have control over: our perception of our own world. If we know exactly what our internal preferences are, then it's easier to deal with unexpected situations. More importantly, if we know how our unconsciousness reacts to certain events, we can try to improve the way we react to these things. Being self-aware allows us to better choose our own mindset, and turn it into something positive despite negative external factors. Someone who is not self-aware encounters obstacles, sometimes the same ones repeatedly, and doesn't understand why. Someone who is self-aware examines themselves honestly to get to the root of their problems. Maybe people don't like to talk to you. A person that isn't self-aware person would just get frustrated or accept it, or maybe not even notice people are annoyed by them. A self-aware person examines their reality, maybe admits they ramble too much, don't listen enough, aren't engaging or being present. The difference between these persons is that one has the ability to diagnose the underlying issue. And with that comes the power to fix the true cause of the issue. Surprise: the issue is you. And luckily that's something you can actively change! This might sound like a silly example, but imagine being stuck in traffic after a long day at work. 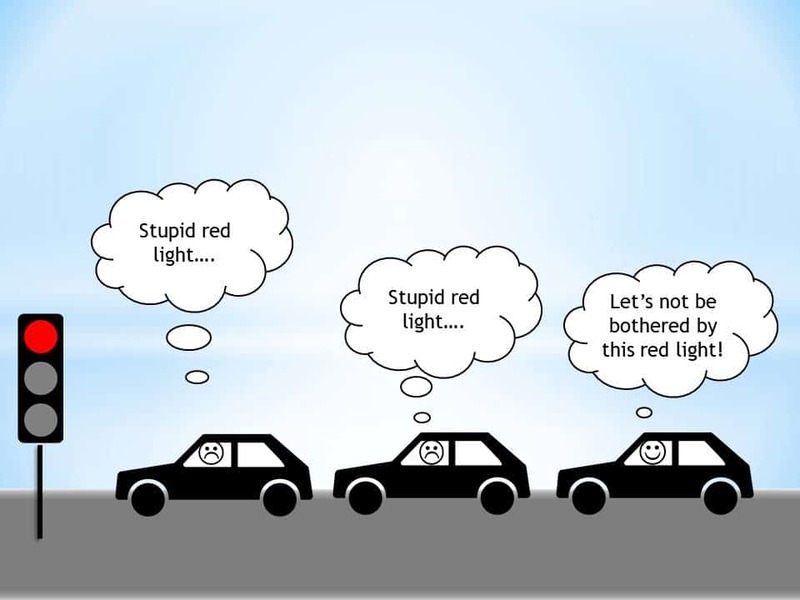 If you are not familiar with the concepts of self-awareness, you might feel bummed about being stuck in traffic. And that would be that. Your day would be negatively influenced by this traffic, and there it is: you become angry and agitated. Now think about the same situation, but then with an added sense of self-awareness. Sure, you still don't like being stuck in traffic. Being self-aware will not magically create an eternal smile on your face. But it allows you to look further than just the direct effect of being stuck in traffic. 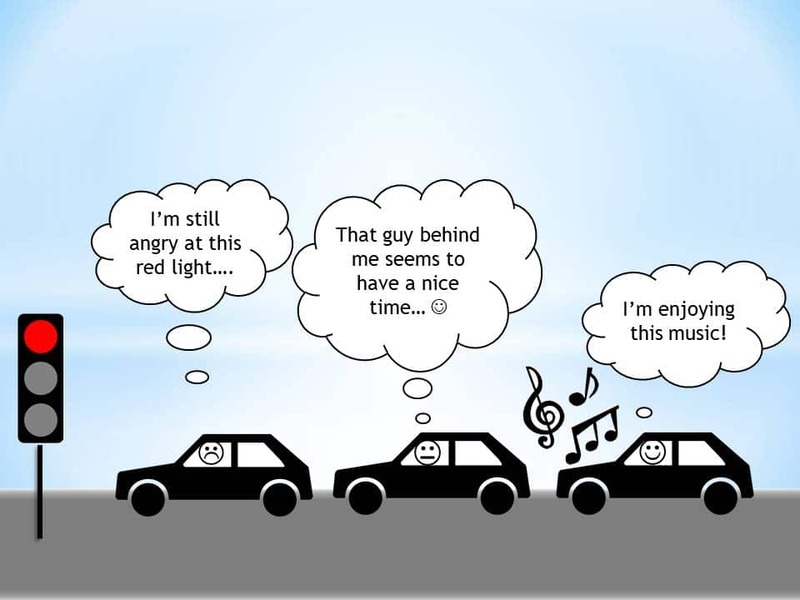 When you are fully aware that being stuck in traffic is not something you enjoy, then you at least have the option to change the way you react to it! You can actually decide that being stuck in traffic will not bother you. You can decide to focus on the positive things that are still happening in your life. Instead of feeling bummed about being stuck in traffic, you can choose to remain happy by thinking about things that make you happy! Some people can spend entire days binge-watching a series. I myself have done it many times as well (hello Breaking Bad!). Binge-watching can be a lot of fun and a great way to pass the time on a rainy Sunday. However, some people binge-watch series in order to escape from problems. Some people use binge-watching as an escape from reality. You might be escaping your homework, your deadlines at work or hell, even your relationship. This type of binge-watching is obviously not healthy. Therefore, it's important to be able to recognize these scenarios. Are you binge-watching just because you want to enjoy a good series, or are you binge-watching because you want to escape your real-life responsibilities? To a person that's not fully self-aware, these two situations might look exactly the same. But a person that is fully self-aware will recognize the bad scenario. If you are self-aware of why you are binge-watching, then it's much easier to make the right decision. And that is to first take care of your real-life responsibilities before pressing play on that first episode! And once you know that you've accomplished all your goals, you will enjoy the binge-watching so much more. Because now it's only pure entertainment, instead of a form of procrastination. Being the introvert that I am, I tend to bottle up my emotions when I feel hurt by others. I then keep those emotions deep inside me until I can no longer hold them inside. This situation has occurred before in my life, and it wasn't pretty. At the time, I wasn't fully aware of what was happening in my mind. I could have tackled the situation very differently. It's might seem really simple: you feel like someone hurts you and you feel bummed. You then hold onto that hurt feeling and turn it into something nasty: anger and hatred. This is pretty normal behavior, of course. But it is still important to be aware of what's happening. Someone that might not be aware of his anger and hatred might lash out and explode. This would only amplify the negativity, as emotions like these tend to increase in a heated situation. Knowing about these emotions - and how the anger and hatred towards someone might grow - will help you control them so much more. Are you really angry at the other person, or are you reacting to your own insecurities and fears? Why do you actually need to say hurtful things? Literally, what's in it for you? This can be extremely difficult. But you can really improve the quality of your own life by simply being aware of your own emotions. Self discipline begins with the mastery of your thoughts. If you don't control what you think, you can't control what you do. If it wasn't clear yet, there are a number of great benefits that come with self-awareness. This is the most important benefit of self-awareness. We might not be able to control external factors that seem to run our lives every. single. day. But we can control how we react to those external factors. In order to control how we react to external circumstances, we need to know exactly how our internal states, preference, resources, and intuitions work. How do external circumstances affect our state of mind? Knowing that allows us to actively react differently to external factors. We can decide whether or not something makes us sad, angry or agitated. Yes, it might not always be easy, but this is the biggest benefit to self-awareness. A higher level of self-awareness enables us to better predict how certain future situations will influence our state of mind. That way, we can better steer our life in the best direction possible. Being aware of how certain external factors have a negative impact on our lives allows us to better avoid these situations in the future. Knowing this enables us to rationally decide whether or not to binge-watch a series or to become angry at someone. Silly examples, perhaps, but truly worth thinking about! Being self-aware allows us to better know our internal states, preference, resources, and intuitions. But this knowledge doesn't end there. Self-awareness allows us to better understand the emotions of the people around us. Think about it. If we are not even aware of our own state of mind, how can we possibly try to grasp how people around us might react to certain events? With self-awareness comes better knowledge about how certain types of people might react to certain events. For example, think about a close friend or a sibling of yours. If you know how you would react to an external factor, then it's much easier to understand what goes on in the mind of this other person. This way, you can help both yourself and your friend or sibling by stepping away from your irrational emotions. This closely relates to the previous benefit of being self-aware but is arguably the most important of them all. Being fully self-aware allows us to actively change the mindset of the people around us. You see, humans tend to move in groups. We tend to copy the behavior of others, and as some of you might know: emotions can be contagious! If your partner or close friend is sad or angry then there is a possibility that you will feel that emotion as well. But the same works for happiness. Your happiness can actually radiate to other people. Your smile has the power to bring a smile to someone else's face! And that is arguably the biggest benefit of self-awareness. If we actively decide to face a bad situation with happiness instead of anger, then that happiness can positively influence the people around us! There are multiple methods to become more self-aware. What method is right for you depends on who you are. If you are truly serious about becoming more self-aware, then these methods might help you get there. They have certainly helped me! Now if you haven't thought about journaling up until now, let me explain why journaling can be the quickest way to create self-awareness. Journaling makes you explore exactly what goes on in your mind as you live your day to day life. By journaling, you will get to know yourself in a deeper way than ever before. It will force you to think about the things you do unconsciously. Why do you do those things? For what reasons? And more importantly, how do these things affect you? You can journal just about everything. If you want to journal about your career goals? Go ahead! Want to journal about your life partner? Sure! It doesn't matter what the subject of your journal is. Just writing about the things that are going on in your life will make you feel more connected to the things you do unconsciously. And that's where you can grow your self-awareness. What I can highly recommend everybody is to journal about the things that influence your happiness. Happiness is the single most important goal in life, so why not journal about it? Why not go one step further? Why not start tracking your happiness every single day? I have done this for the last 5 years, and believe me: I think this is the best way to create self-awareness. Another way of becoming more self-aware is to realize how much power interpretation has on our conception of reality. Try to read multiple perspectives on news items, subjects of contention in the media and among your friends, and really try and set aside your personal feelings in order to understand what might cause a person to see each of these perspectives as true. When you realize that every person's perceptions are colored by their prior experiences and see how personal narratives can cause the same situation to be read differently by different people, you'll likely start to apply that same multiple-lens approach to your judgments about yourself, too. In today's busy world, it often feels like we are constantly traveling at the speed of light. We don't have time to stop and just sit for a while. It almost seems like it's a good thing to have a calendar that's filled to the brim. What we should all do is take our time, and ask ourselves the simple question of "why?". Why do we do the things we do? Why do I enjoy my life at the moment? Why do I hate my life at the moment? Why do I want to be alone? Even if you don't have the answers to those questions, it is super important to at least think about these questions every once in a while. Why? Because by thinking about these questions, we become more familiar with the things that run our daily lives. And by doing so, we get a better feeling of how we react to those things. Both consciously and unconsciously. Asking a simple question like "why" will result in an increased level of self-awareness, because it forces you to think about the things that you do. And with that said, I want to conclude this first post explaining why self-awareness is important. Mind you, we have only scraped the surface of this beautiful subject! There will be many more articles to come on self-awareness. Hey I ran across you page via a random google search. perhaps the powers that be knew my dad came to the US on a ship from the Netherlands when he was 2, I don’t know but it is a connection. I am trying to make it day to day in a very unhappy environment I created. In 2002 I made a very very bad choice and in 2005 made a decision that has me living in a state 1300 miles from home where I have no family and no close friends. I go through every day miserable and am far from being happy. I know I am not ‘living’ my life I am merely go from one day to the next with nothing to look forward to. I don’t journal or anything like that for fear of someone finding and looking at it and I will feel embarrassed. Looking back and realizing I am nearing retirement age and reflecting on the fact I have lost 16 years or being with my kids (I have 3 grandchildren I have never met), my life is a mess. Well anyway – I think stumbling upon your site is a start for me. I just saw your comment come up as I was working on the site and wanted to reply straight away. What I want to say is maybe corny or cliche, but try to not let your past define your future. It sounds like you have a lot of potentially good things happening (being with kids + grandkids, nearing retirement). You made the decision to move away from your family in 2005 and from what I’m reading that’s the main reason you’re feeling unhappy at the moment. But the good thing about that is that this distance is something you can overcome. It may sound drastic, but don’t you think moving would be the most straightforward solution to your problem? Move back to your family and spend more time with them? It’s never too late. It sounds like you have an idea of how you can tackle your issues. Being aware of it is half the battle, now you can start working towards a better future.